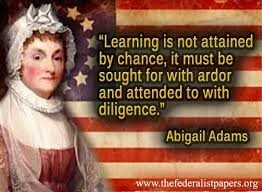 Abigail Adams influence everyday female life. 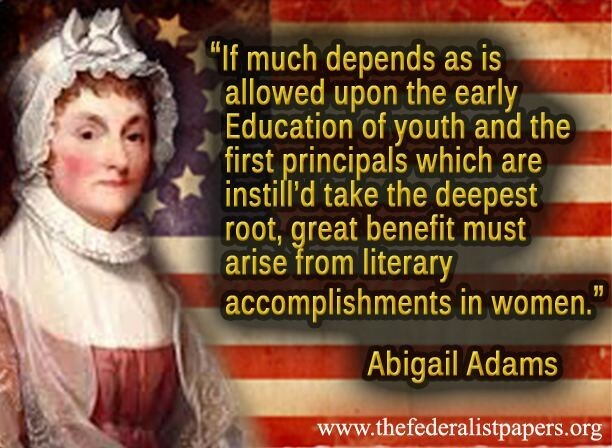 Abigail Adams contributed to change in America for women in many ways. this is a presentation of how her life prepared her for making this change when she is older. Abigail Smith was born on November 22, 1744. Abigail Smith grew up in Weymouth Massachusetts. she had 2 sisters; Mary and Betsy. She was often sick which challenged her yet taught her to be faithful in god and family. This trait was one of the many displayed when standing up for women's rights. She was never formally educated. Her Mother Elizabeth only taught her enough write letters, pay bills, and read. Yet with her limited homeschooling that was all that was available. She wasn't too educated for the fear of being considered too masculine. Despite all this her letters to her soon to be husband John Adams were still written to such a high level that they were made into a book. These letters weren't taken seriously and often con differed silly by the president of the United States at the time, John Adams. Even though Abigail smith became Abigail Adams at age 20, she had known John Adams since she was 15. When she was married on October 25, 1764. Four years later Abigail and John moved to Boston in the spring of 1768. When settled in their new home Abigail had they had 5 kids thought the sixth dies at 18 months due to the lacks of vaccines at the time. Becoming a mothers so young helped her be patient and a fast learner. This again, is another trait displayed in her process to standing up for women's rights. By being a fast learner she knew was quick to spot trends and patterns in her protest. 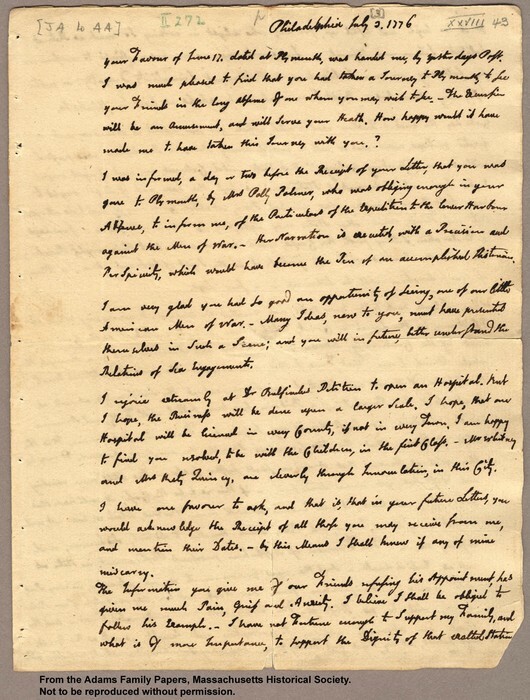 Her patience was also displayed in how well she kept her cool when John Adams thought her letters be silly. 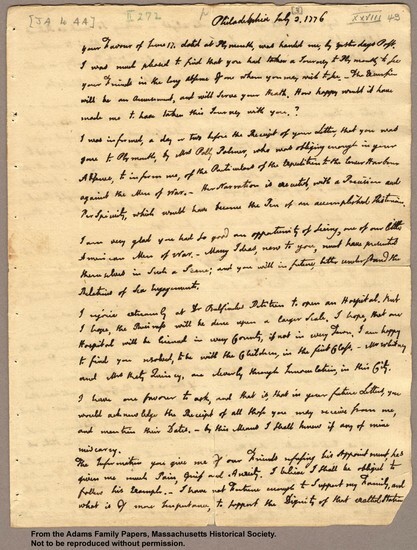 When john Adams was the inexpiereinced yet great young president he often wrote Abigial. In these letters she always told him to remember the women. She was very persistent with these letters. She was said to often lecture John in the letters about women's rights. Not only did she keep women's rights in the presidents mind she also helped him with political problems from time to time. She was always strong with her testimonies about women's rights. It is believed because she raised 5 kids on her own for long period of time it was her personality coming out in her letters. 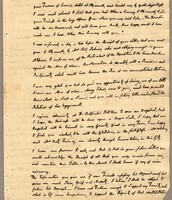 Her is a summary of the history of this letters. 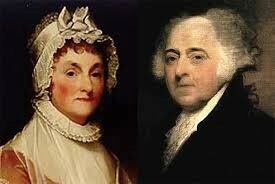 When John Adams become president she was known as Mrs. President. She was just the second First Lady of the United States of America. One of the sub peaks only Mount Adams is named after her. She was the first women to be married to a president and give birth to one as well. Finally she letters to john were published into a book. They were a best seller among the women who could read at the time. Here is part of her very own letter! Abigail Adams maiden name was Smith. Her nickname when she was young was Nabby. She named her daughter Nabby. When she was young she often was sick but still wanted to learn to read and write through it all. She was homeschooled by her mother. First to be called Mrs. President. The First Lady to have her son after her husband be president.